George Reynolds founded the Reynolds's Weekly Newspaper in May, 1850. Reynolds was a strong supporter of Chartism and in its first edition he stated that his newspaper would be "devoted to the cause of freedom and in the interests of the enslaved masses". However, Reynolds added it will "prove not only a staunch, fearless, and uncompromising friend of popular principles, but likewise a complete and faithful chronicle of all domestic, foreign, and colonial events of interest or value." To deliver this promise, Reynolds gained the services of correspondents from Dublin, Paris, Madrid, Berlin, Vienna, Turin, Rome, Athens, Constantinople and New York. Initially the Reynolds' Weekly Newspaper cost 4d. but it was reduced to one penny in 1864 after the abolition of the stamp duty, the advertisement duty, and paper duty. The newspaper was a great success and by 1870 had a circulation of 350,000 a week. After the death of George Reynolds in 1879, his brother, Edward Reynolds took over the running of the newspaper. When he died in 1894, the Liberal M.P., James Henry Dalziel, became the new proprietor. Dalziel brought in several new features including a women's page, serial stories, words and music of popular songs and help finding missing relatives and friends. The newspaper, which employed leading trade unionists such as George Howell, also provided extensive advice on legal and medical matters. In 1929, the newspaper, now called Reynold's Illustrated News, was bought by the Co-operative Press. 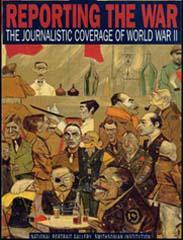 Unlike most newspapers, it refused to believe that Leon Trotsky and his followers tried to overthrow Joseph Stalin. 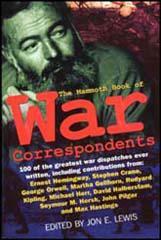 The left-wing journalist, H. N. Brailsford, wrote a series of articles criticising the Soviet Show Trials. It was relaunched in 1962 as a tabloid named the Sunday Citizen. It was not a success and it was closed on 18th June 1967. Reynolds's Newspaper was born ten years after the News of the World. Its first editor was G. W. M. Reynolds, who came of a highly aristocratic stock, being the son of an old Tory, Admiral Reynolds. He was, however, a man with democratic leanings, and enthusiastically adopted the policy of the promotion of the new venture which was to provide a newspaper devoted to the interests of the masses at a time when other papers catered for the favoured classes. The Reynolds's Weekly News will be devoted to the cause of freedom and in the interests of the enslaved masses. In its political sentiment it will be thoroughly democratic; while as an organ of general intelligence it will yield to none in the copiousness of its news, the interests of miscellaneous matter, and the variety of its information. It will, therefore, prove not only a staunch, fearless, and uncompromising friend of popular principles, but likewise a complete and faithful chronicle of all domestic, foreign, and colonial events of interest or value.